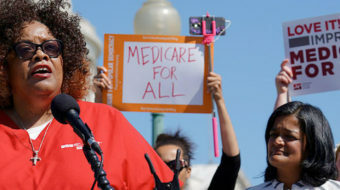 WASHINGTON – National Nurses United is launching a nationwide economic education drive, saying they will speak out about income and economic inequality and its impact on themselves and their patients – and get the rest of the country to do so, too. Delegates to the 165,000-member union’s legislative conference, in Washington, D.C., June 6-7, kicked off the campaign with strong statements about what corporate greed has done to the U.S. physically and financially, and with a June 7 protest in front of the U.S. Chamber of Commerce. The growing union calls its campaign “The Main Street Contract for the American People” and says its aim is to take back the country from the forces of corporate greed. 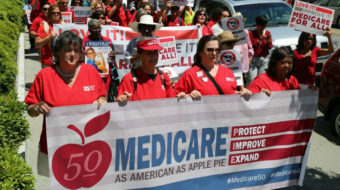 One big part will be local campaigns to get nurses and their neighbors to speak up about the economic disaster, and to hold politicians accountable if they don’t aid workers, said NNU Executive Director Rose Ann DeMoro and its three co-presidents. “No one’s going to be for us or for our patients if we don’t stand up for ourselves,” DeMoro said. 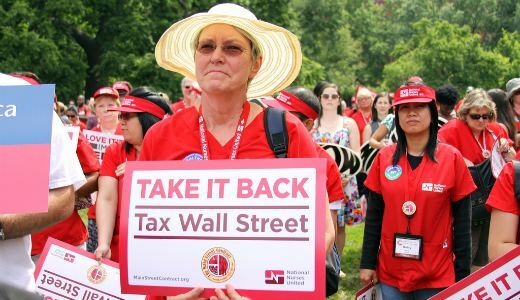 Another part of the drive will involve NNU acting as lead union at a June 22 Day of Action in New York City, invading Wall Street to demand that lawmakers approve a tax on stock transfers. The small tax, which European unions will agitate for on that continent on the same day, would not only raise money to fund vital services and cut the budget deficit, but would also reduce the greed and speculation that plunged the nation into “the Great Recession, or whatever you want to call it,” DeMoro said. 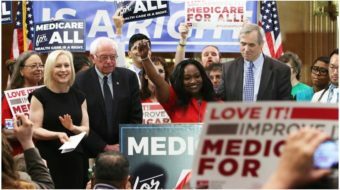 For their campaign, as for their congressional lobbying on June 7, the nurses armed themselves with data about income inequality, joblessness, the recession, foreclosures and health care costs. They added stories about the economy from patients, sent to NNU’s California offices, and strong language denouncing corporate greed. NNU’s seven-point platform and campaign demands jobs at living wages for everyone, guaranteed health care for all (the union advocates government-run single-payer medical care), secure retirement, equal access to a quality education, good housing and protection from hunger and a just taxation system where the wealthy pay their fair share. The point, the nurses said, is to get people talking about the recession and its harm – and campaigning for pro-people measures to undo it. “As nurses, we are seeing the economic effects” of the recession “at home and in the hospital” in increased depression and illnesses in adults and adult illnesses in children, said Massachusetts RN Karen Higgins, one of NNU’s three co-presidents. “We’ve heard stories about families becoming a one-earner family, of single moms who pray each night they don’t lose their jobs, of adult children who have to take care of their parents because the parents can’t survive in this economy. This needs to stop,” she declared. The politicians, however, aren’t listening. 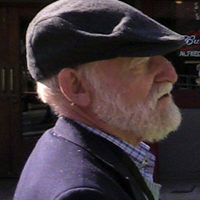 “Do they want seniors living on the street?” Higgins asked. Fellow co-president Jean Ross, a Minnesota RN, detailed how the insurers, at a time of record profits, treat their patients. She told the story of one man with a badly broken leg, whose insurer said he could still walk and refused to pay for admission to a hospital, or even for transportation to a rehab center. “They said he was ‘too well’ to stay in the hospital,” Ross scornfully added. She also read a story from a Chicago nurse, Ramona – last name not given – who is caring for her brother, terminally ill with cancer. A hospice nurse comes four hours every morning to help care for him. While clearing the kitchen table, Ramona said, she found a disconnect notice from the power company, due to a $119 unpaid bill. The hospice nurse, 70, “gave me $120 to pay the bill. I told her it was greatly appreciated but I could pay it” for her brother. “She refused to take the money back,” explaining her husband garnered it gathering and selling scrap metal, and using the funds for those less fortunate. The nurses also made it quite clear they are dissatisfied with the political response from both parties to the recession and its impact. At one point, DeMoro estimated there were “about five” sympathetic politicians on Capitol Hill. “When those idiots” on Capitol Hill and in state legislatures “are talking about cutting back on unemployment benefits, they’re talking about the dignity of work,” and enabling people – especially men – to seek work, said NNU co-president Deborah Burger of California. Men, more than women, she noted, tie their identity into their jobs, and joblessness produces depression and other illness, which nurses see.